This modification is a very simple defeat of a safety interlock. Note that keyword: safety. Here are some important points about this mod. Batteries could explode (use ONLY NiMH – not NiCad, not Alkaline) resulting in damage to batteries and camera. Do not forget to remove cardboard if you will be using non-NiMH batteries. Fire – batteries could overheat. Do not leave the camera unattended while charging. Long term use could reduce the lifespan of the camera’s charging and power circuitry? Maybe? This modification forces the camera to operate in a way for which it was not fully designed. The official battery packs are likely balanced cells, possibly hand-picked for certain traits (such as low temperature during charge, resistance characteristics, etc). By using just any old NiMH batteries you have lying around your house, or even new ones, the camera may not function as it was designed. I am not responsible for any damages or personal injury that may occur as a result of you performing this modification, or any other crazy ideas you may get having read this. You are entering the “beyond the warranty” zone – and anything can happen, including bad things. You, and you alone, are responsible for your own well-being and property, and maintaining a reasonable level of common sense. Remove the battery cover, and look inside the battery bay. Between the two top contacts, you will see a little switch lever. For those more curious people, the little blue bulb at the top left is a thermistor, used as a safety cut-off in case the batteries get too hot. Although there are many different ways you could keep that switch pressed down, cardboard is easy to find, and easy to remove. I preferred having a wider strip, because then the batteries themselves would also contribute to holding the cardboard in place. You will need to cut the tip of the strip so that it fits in the slot where the switch is. To ensure it is pressing the switch fully, bend the tip downwards. Align the cardboard over the switch, and make sure that the switch is being pressed down. You might need to adjust the size of your tip for this. Secure the cardboard in place with some tape. Step 4) Install batteries and charge! The official battery pack is basically two 2,100 mAh AA NiMHs. According to the manufacturer this would take 6 hours to charge with a computer, and 3.5 hours to charge using the Flip charger. If you use larger batteries (which would give you more runtime), it will take even longer. I am using 2,650 mAh batteries, a 26% increase in capacity. In principal, this should be an easy hack that works for over 90% of cases. The official pack is nothing more than two AA NiMHs, with a tab to press a switch. What we have done here is simulated an official pack, and told the flip, “it’s okay, you can charge these”. And as long as you use good quality NiMH cells, there should be no issues. I noticed that the red LED on the front of the camera sometimes blinks, sometimes doesn’t. The technical documentation says that it will blink when charging. Perhaps the charge circuitry is intelligent, and stops charging, monitors the voltage level, and resume charging as necessary. I doubt it, though. My batteries finished charging after approximately 6 hours using a dedicated AC-USB adapter. I expect it would have taken over 8 hours using a PC USB port. I’ve just done the same, how has it been working for you? Running first charge now. Its been working great for me. It does take a while to charge with my higher capacity batteries, but 8 hours is still faster than the 14 it takes with my old charger. Wow thanks it works great! I finally found this article and I wanted to thank you very much! I had purchased the ultrahd flip and I got one of those bad battery packs from the factory, lucky me. not. Anyways, I was scared to use the USB because no where in the flip docs did it ever tell me about the little safety tab that you covered with your hack. I have been using regular alkaline AA’s and was afraid using the usb would destroy my flip, so it has been sitting in a drawer all this time not being used at all. Thanks to your article, now I know that when I plug the usb in it won’t try to charge my alkalines. Yea! I can use my flip once again! Going to try this tonight! using 2400 mAh Duracell batteries. This is a pretty easy looking modification. Thanks so much you saved me lots of money! 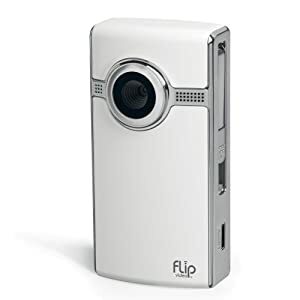 I have a flip HD, can you charge it when you are recording or a power adaptor ?? I can’t test, but I don’t think you can charge while recording. You can charge it with any USB power adapter.